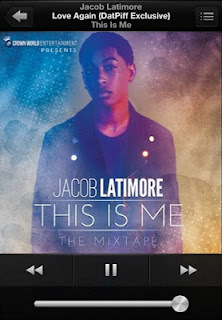 Last Wednesday, the R&B crooning teen heart throb, Jacob Latimore released his highly anticipated mixtape,"This Is Me" which had his fans, 106th and Park, Vibe Mag execs and peers (amongst others) pleasantly surprised! The lyrical prowess, vocal range and R&B soul tracks displayed on the release were definitely unexpected of the 16 year old. One of the stand out tracks is Love Again, track 10, produced by heavy hitter duo on the rise History Makerz, written by Reuben McCray and Sauceboys. Critics are saying that the mixtape is very fluid and the internet buzz shows that everyone loves it. Download the mixtape for your listening pleasure, here.